The San Antonio River Foundation, in partnership with the San Antonio River Authority, invite you to the 4th Annual Mission Reach Flotilla Fiesta on Saturday, April 20, 2019. Join us from 11am-5pm at Mission County Park for this FREE, family-friendly Official Fiesta Event! The flotilla water parade is a costume contest where you and your pet dress up and paddle down the San Antonio River for prizes. Afterward, the whole family will love playing water games– you don’t even need to have your own kayak to join in the fun! 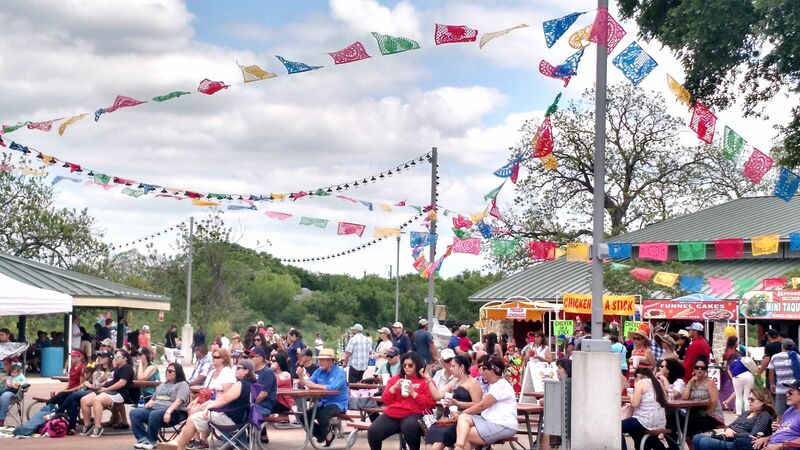 With fabulous live music and dance, delicious local food vendors and a craft mercado, Mission Reach Flotilla Fiesta is your time for festivity by and on our River.